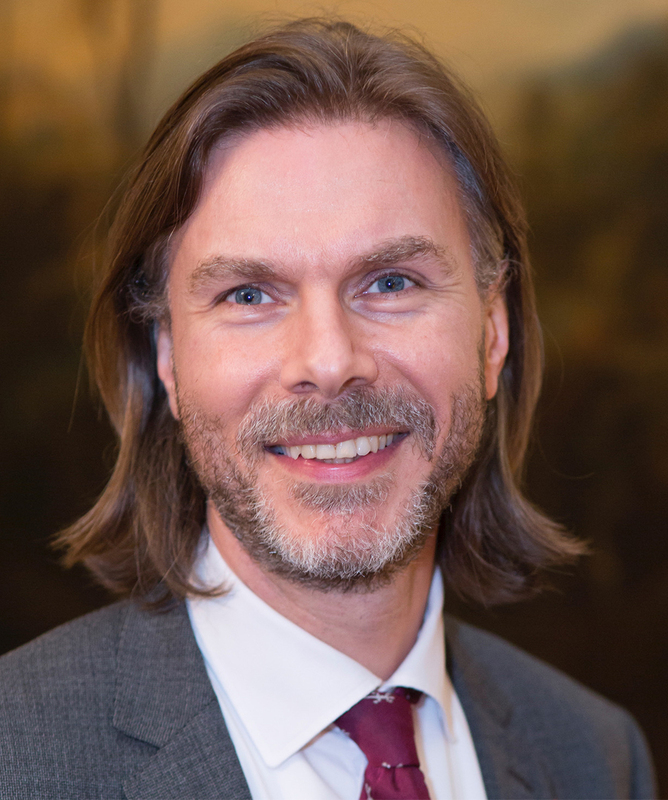 Professor Tony Young is a Consultant Urological Surgeon in the NHS, working at Southend University Hospital with a PhD in Physiology from UCL. He is a serial entrepreneur, founding four MedTech start-ups. He is Director and Chair of Medical Innovation at the School of Medicine at Anglia Ruskin University, and in this role co-founded the £500m Anglia Ruskin Med-Tech Campus; a series of MedTech and advanced engineering science parks in Essex. In 2014, he was appointed as the first National Clinical Director for innovation at NHS England. In 2015, he founded the Clinical Entrepreneur Programme, which has become the world’s largest entrepreneurial training programme for clinicians. You have progressed from a clinician trying to innovate and launch start-ups to an innovation role at Anglia Ruskin and now you are National Clinical Lead for NHS England. At each stage, can you identify the biggest challenge that you faced personally? I made the choice to become a doctor at a young age because it felt like the right thing for me to do. I wanted to use my skills, knowledge and experience to impact lives. I wanted to make a difference to the person in front of me. As I progressed through medical school, I realised that there was something ‘more’ that I wanted to do. I wanted to make a difference to millions of people. Clinically, I was impacting the life of one, but I wanted to simultaneously impact the lives of millions. I felt I was unlikely to do both as a clinician alone, and this was the paradox at the back of my mind as I went through my early training. I then started inventing things. I had my first business at the age of 30, and re-mortgaged my house to fund it. This provided me with incredible reward and meaning, and I looked up at other clinicians that were doing both, and thought to myself, ‘I want to do this’. Along the line, I explored changing lives through impactful research and that drove my PhD, but I found that entrepreneurship was the route I could do it best. So I think, clinically, the biggest challenge was addressing this paradox – how to impact the life of the one and the million. The NHS-plus-entrepreneur route was a hardly trodden path. There are some motorways in healthcare careers, and there are tracks in the undergrowth that have hardly been trodden. This was one of them; very few doctors in the UK were entrepreneurs-plus-doctors in the UK at the time. I think that my career probably has had four stages: clinical (where I began to understand I could not impact one and many solely as a clinician); academic; entrepreneur and now as a national leader. There are some motorways in healthcare careers, and there are tracks in the undergrowth that have hardly been trodden. Any challenges that you saw in the system for clinicians wanting to innovate? There are a lot of reasons why people don’t want to adopt innovation and change their behaviour. Getting them on-board to understand how to improve patient care through innovation is fundamental. This is a key challenge from a system point of view. I have learned that if you can win hearts and minds of clinicians, patients, providers… every stakeholder in the system then you have the best chance to make innovation happen. In terms of challenges I faced as an entrepreneur, the commercial world is totally different from the NHS and public sector so understanding commercial behaviour and what is seen as ‘right and acceptable’ is totally different to what is ‘right and acceptable’ in public healthcare. This challenged some of the core values I hold, but success comes when you find ways to marry the two together, and win hearts and minds. The culture of an organisation as a barrier to innovation was also a challenge in Academia. But again, I had to win heart and minds, and we have been successful. For example, in Chelmsford, we launched a company called Futurenova, an amazing company with a world-leading sterile case for tablets. One of the biggest barriers I have seen facing companies, is that they may have a great product/service but have not tried to understand the clinical/provider problem. You need both: a good product and an understanding of pain points in a clinical/provider environment. To overcome this, you need to think: ‘what is the problem, and how do I solve it’. Now in my role at NHS England, I am getting to learn about the whole system and how things work. But the same thing that cuts through all four parts of my career and all sectors is: win hearts and minds. And then you can start to make change happen. If you can win hearts and minds of clinicians, patients, providers… every stakeholder in the system then you have the best chance to make innovation happen. Is there anything that you would have done differently if you had started your Foundation Training now? No, I wouldn’t change anything. You are who you are and your journey is what it is. I grasped every opportunity that I came across. I also learned to accept, acknowledge and learn from failure at a young age. I wouldn’t change any mistakes I have made (and I have made a lot!) because I would not be where I am now, if I changed my experience. I am open to embrace the experience that I have been through and learn from it. When you started the National Clinical Lead role at NHS England, department priorities were to look at the inequality gap; help grow the UK life sciences economy; advise government on healthcare innovation and to make England the ‘go-to’ place for medical innovation… all with minimal funding. How did you approach a seemingly impossible challenge? Winning hearts and minds. And recognising that you cannot do it alone. What I aim to do with the NHS is to empower the most valuable asset that the NHS has and unlock its potential. This is our workforce. Most other organisations would mine the intellectual capital of their workforce to help them transform. So how can we release the potential of this amazing asset that we have? By doing these two things you begin creating a movement. The Clinical Entrepreneur Programme is an example of this – the entrepreneurs are agents for change and transformation of healthcare. Why did you set up the Clinical Entrepreneur Programme? So I talked to some people and we began to support entrepreneurs in healthcare. The first year was a pilot and there were 118 junior doctors, who raised £56 million between them and 50+ start-ups were born. We recorded all the data and we were given the go-ahead to do Year 2. Year 2 we had 230 doctors, who raised over £118 million and we are now open to all clinicians. There are plans for further expansion outlined in the NHS Long-Term Plan. A challenge of scaling any business, is maintaining quality. How have you ensured the quality of the programme is maintained? Because, it is really light touch. We don’t spoon-feed the entrepreneurs but we do give them: a ‘badge of permission’ to be an entrepreneur in the NHS; a commercial coach; an individually-chosen mentor; a connection to customers; and funding. We arrange networking and educational events across the year. Effectively, we present a smorgasbord – a range of opportunities on the table- and the entrepreneur can pick and choose. It is not like medical school where you are told to read notes and so on, this is self-directed learning. We facilitate group learning and ensure resources and facilities are available. There are only three of us at NHS England plus Polly at Anglia Ruskin, who is amazing. All mentors give their time freely, as do those that come and talk on programme. We manage it very closely and tightly in the centre. It really works for some people. Others are not comfortable with facilitated self-learning. But that is a positive outcome, because they can now move forward and have learned in a safe place. We are selective on who we pick to be on programme, with a rigorous assessment and interview process. It is about developing the individual rather than the idea, providing them with the skills, knowledge and experience to evolve. Are there any start-ups that you are particularly excited by? All ones on Clinical Entrepreneur Programme (!). The recent Topol review recommends that the healthcare workforce requires ‘expertise and guidance to evaluate new technologies, grounded in real-world evidence’. Technology is fast-moving and randomised control trials (current gold standard for testing drug products) take time. How do you think we should evidence emerging tech? Big area. Topol has published a review in Nature, and the summary is true for AI as it is for other tech. We need to introduce things into clinical practice that are safe and clinically effective. This said, does the RCT serve us as well for AI/digital health as it does for drug discovery? I think not. But it is still a key component. The future will be to use real world data that we have not seen before/ big data analytics. We are going to have to use new techniques. So yes new technology should go through an absolutely rigorous testing. But is a £2 billion RCT appropriate for a lot of technology and other things? Probably not. We have still not solved this issue. But in the UK we are testing, trialing and exploring new methods of evaluation across the system. Also according to Topol, 90% of NHS jobs will require digital skills within 20 years and patients will be included in treatment plans and informed about health technologies. Where is the best source of reliable, evidence-based information on digital health technologies? NHS Choices and NHS 111 have some great algorithms; Cochrane review; NICE evidence. NHS England has commissioned ORCHA and Our Mobile Health to look at health and social care related apps- take a look at their websites. You have an incredibly impressive career, how do you maintain a work-life balance? By not viewing my work as being life, and not viewing life as being work. I have followed my dream to try and improve the healthcare of as many people as I can. As this is my passion I don’t see work as work, but rather a joy. But I do ensure I look after myself physically and emotionally- I exercise, I read, I spend time with my family and children and I take time to get away. I listen to what those around me are saying/observing. And if they say ‘dial it back’, I do that. No-one has ever told me to ‘dial it up’ though! Finally, are there any books that have significantly impacted you? A General Theory of Love – Thomas Lewis. This touches on the psychology of love; not just how we fall in love, but also how we fall in love with products and services. This book challenges the way we think about how we get ideas taken up by customers. Thinking Fast and Slow – Daniel Kahneman. This is stunning in so many ways about the human condition. Immunity to Change – Robert Kegan. This taught me so much about Organisational Psychology. Bad Blood – John Carreyrou. Wow, what a rip-roaring read on how not to do a start-up in healthcare; a breath-taking read. Living an Examined Life – James Hollis. I have just finished reading this twice! The books I recommend reflect on a number of things and help to develop an understanding of how to act as a leader, and how others act around you/why. Because, in my experience, success in the clinical world, academia, business and leadership is all about winning hearts and minds.